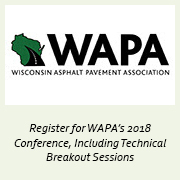 The Wisconsin Asphalt Industry Insider is a platform for WAPA members to share what's new and exciting at their companies with pavement owners, operators, and contractors across our state. We hope you find this information useful! Click a company logo (listed in alphabetical order) to jump to the article. Quality management is a priority layer woven into the fabric of every project at Alfred Benesch & Company (Benesch). 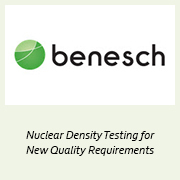 When the state of Wisconsin recently introduced the new Percent Within Limits (PWL) QMP program, which requires significantly more quality verification testing on HMA pavement, Benesch saw an opportunity to expand our in-house services to include Nuclear Density Testing (NDT) and enhance quality on client projects. Adding NDT services provides project efficiencies and assists clients, given the state's new PWL QMP program. Benesch recently provided NDT on a 7.5-mile resurfacing project from Rosendale to Fond du Lac on STH 23. This project was unique, as it was one of the first combination Longitudinal Joint Density pilot and HMA PWL projects, and the first in the Northeast Region. Benesch collaborated with the contractor, Northeast Asphalt, as well as Wisconsin Department of Transportation (WisDOT) technical experts to ensure that the special provision for Longitudinal Joint Density was implemented correctly. Benesch was highly involved in both material production and paving operations, spending countless hours at the asphalt plant and lab providing real-time information to the contractor, sampling materials, and updating spreadsheets. In the field, our staff worked with the paving foreman and density testers to ensure the mat received the additional compactive effort necessary for the Longitudinal Joint Density specification, and that mainline density was not sacrificed in the process. The project is a testament to both the state's new quality measures, as well as Benesch's implementation of NDT services to meet them. 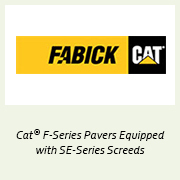 Contractors are finding that the new Cat� F-Series Pavers e quipped with SE-Series screeds from Fabick Cat reach temperature approximately 1.5 times faster than other machines in their fleets. The new generator design enables the screed plates to heat in as little as 15 minutes, leading to more production throughout the day. Unproductive fuel burn and crew downtime can be reduced by up to 30 minutes per shift. Cat � F-Series Pavers equipped with SE-Series screeds have smart technology: an exclusive temperature zone monitoring system that ensures heating continues even if a temperature sensor fails. Cat Track Pavers are maintenance-free, and with unmatched traction in both a smooth or tread-bar style belt, the Mobil-trac� undercarriage provides excellent flotation, smooth travel and high speed capability. When grade conditions and surface irregularities are less than ideal, the technology in the Exclusive Mobil-Trac� undercarriage helps ensure that the system absorbs bumps and minimizes tow-point movement for a smoother paved surface. Cat Wheel Pavers have adjustable front wheel assist and all-wheel drive torque to prevent slippage for better traction and mat quality. For more information on the total line of Caterpillar Paving Solutions throughout Wisconsin, contact your local Fabick Cat representative or visit www.fabickcat.com. A message from Husky Energy about the Superior Refinery. As many of you know, on April 26, operations were suspended at our Superior Refinery following a fire. This serious incident did not impact our longstanding commitment to customer service, and Husky has made it our priority to fulfill all of our contractual obligations. The investigation into the cause of the incident is ongoing, and we're making steady progress in securing the site. Once the investigations and cleanup are complete, work on the refinery's configuration and rebuild will begin. However, the Superior Refinery is not expected to resume normal operations for 18 to 24 months. The Superior Refinery remains a good fit with Husky's overall strategy, and Husky is pleased to remain a part of the community of Superior, Wisconsin. 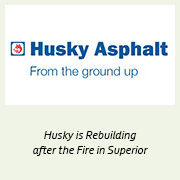 In addition to getting Superior back online, Husky's Asphalt strategy includes other significant growth projects, including our refining capacity, PMA production, and terminal network. We look forward to updating you on these developments and our progress at the Superior Refinery. If you have any questions, please don't hesitate to contact your Husky Asphalt representative, or send your questions directly to asphalt.inquiries@huskyenergy.com . 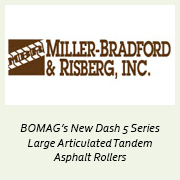 Available from Miller-Bradford & Risberg, Inc., BOMAG's new Dash 5 Series large articulated tandem asphalt rollers offer paving contractors the ability to choose the right technology to your operation, while delivering unmatched support. There are three vibration systems available to choose from: Standard, TanGO, and Asphalt Manager. Standard vibration covers a wide range of applications on many projects. TanGO vibration is your answer whenever careful compaction is required due to various structures or tender mix design. 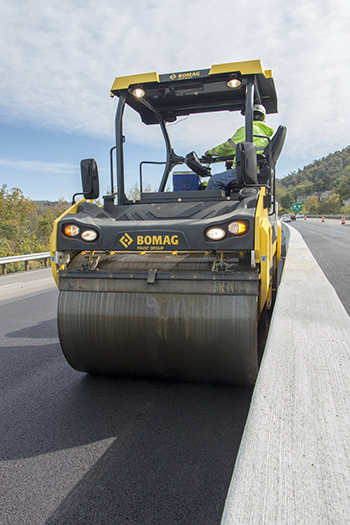 The Asphalt Manager system takes the guesswork out of compaction and puts the roller on autopilot. Economizer to assist with optimum compaction that is simple and easy to understand. These rollers come in drum widths of 66", 78", & 84", with operating weights from 22,000-35,000 lbs. NEFF and MAC provide solutions for the asphalt industry to enhance productivity and reduce downtime as well as maintenance costs utilizing MAC� Pulse Valve Technology . Energy Savings - Powerful pulse action extends time required between pulses, lowering energy costs and reducing pulse frequency. 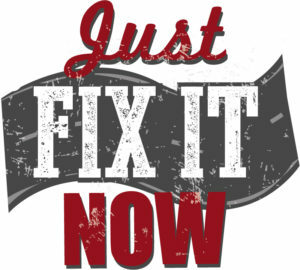 Reduces Downtime - When dust collection systems fail, plant operations come to a halt. MAC spool valves reduce downtime. Reduces Product Contamination - Weak pulses cause excess waste to build up in the system and can cause a reduction in waste removal resulting in product contamination or a reduction in product yield. Lowers Maintenance Cost - Diaphragm valves cause daily maintenance issues and increased labor costs. Spool valves allow for better use of labor throughout the plant. Longer Filter Bag Life - More efficient and effective pulses lead to cleaner filters/bags increasing overall filter life by reducing pulse frequency, lowering costs. 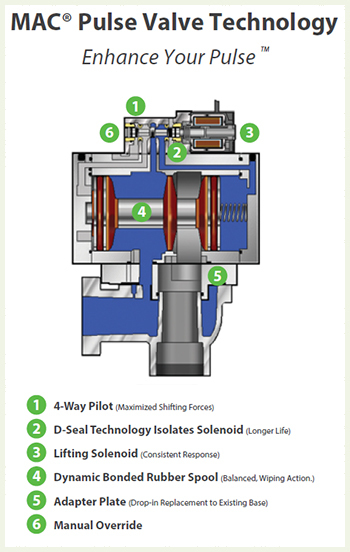 Ease of Use - Only the MAC solenoid pilot offers a manual override to test the pulse valve. 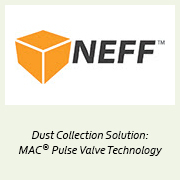 Contact us to learn about these and other benefits of MAC � Pulse Valves as well as other NEFF asphalt industry solutions. Roadtec recently announced that Darin Grimes has joined the company as Regional Sales Manager, serving the Wisconsin market. Grimes has more than 20 years of construction industry experience, specifically heavy construction tool products. The Wisconsin market includes American State Equipment, which offers the complete line of Roadtec equipment. Darin's years of experience include business development, process mapping, and identifying opportunities for territory growth. 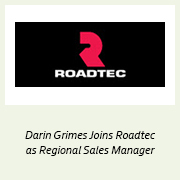 Michael Kvach, Senior Vice President of Sales & Marketing for Roadtec said, "We are excited to have Darin on board and look forward to the great things he will accomplish in the Midwest. 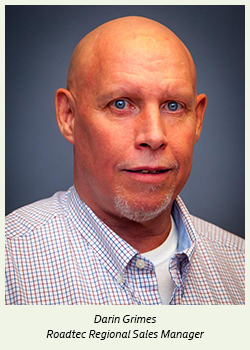 Darin's skillset and years of experience are a perfect complement to the Roadtec team." Roadtec, an Astec Industries company, "One Astec", is a premier American manufacturer of asphalt road building equipment. Founded in 1981, the company began as a manufacturer of asphalt pavers. Today, Roadtec offers an extensive line of reliable pavers, milling machines, and material transfer vehicles, including the patented SHUTTLE BUGGY� material transfer vehicle. For more information about Roadtec visit www.roadtec.com. 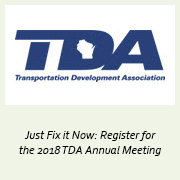 The Transportation Development Association of Wisconsin (TDA) thanks you for your support. Together, we have made Wisconsin transportation and how we fund it a top-tier issue in the upcoming election. And the public knows the state of our transportation network is not what it should be. In a recent Marquette Poll, 64% of likely voters rated Wisconsin's roads poor or fair. This is important groundwork. Please attend this year's annual meeting to recognize outstanding leaders, reconnect with old friends, take stock of where we are and recommit to advancing the best in Wisconsin transportation. And to hear an incredible success story. You can register and pay online or mail in your registration form. Please register by November 9. 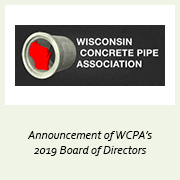 WCPA members are pleased to provide reinforced concrete pipe to the construction industry as a cost-effective solution to storm drainage while protecting the asphalt pavement constructed over it. Contact Executive Director Clark Wantoch at clark4concretepipe@wcpa.com or call 414-327-5272 for a Lunch & Learn presentation. Learn about the benefits and cost-effectiveness of reinforced concrete pipe, as well as the risks associated with the use of alternate pipe types. Thanks as always to all WAPA members who participated in this newsletter. In closing, we would like to remind readers about WAPA's 59th Annual Conference and Business Meeting on November 27-28 at the Madison Concourse Hotel. Register to attend, exhibit or sponsor. See the Conference Page for the full conference agenda and hotel information. Space in our discounted room block is limited -- make your reservation today. To ensure drivability and performance, aging infrastructure requires periodic maintenance and rehabilitation. Smart, effective, economic strategies for pavement preservation and maintenance exist, but have not always been deployed at the right time or manner. This session investigates different options available for maintaining asphalt pavements and why maintenance and rehabilitation are important for the industry. Accurate design and construction are essential to achieve desired pavement performance. This session will highlight proper thickness design, asphalt mix type, and binder selection. Construction best practices will include tack coat application, longitudinal joints, and density. Placing a smooth, uniform asphalt pavement begins with proper operation of the paving machine. This session highlights the different parts of a paver, as well as paver set-up and operation, and how it all contributes to ensuring a pavement with a high level of drivability. Compaction rollers are used to achieve the density a pavement needs to ensure performance and longevity, as well as to create a well-finished surface. This session will discuss different types of rollers, their use, and how to determine proper compaction and coverage. Back by popular demand, this session will focus on the fundamental canons of professional conduct and other appropriate administrative rules and regulations. The discussion is designed to demonstrate a working knowledge of professional ethics and satisfy the requirement for "professional conduct and ethics". As always, please don't hesitate to contact us if you have any questions or if there is ever any way we may be of assistance. Thanks again, and see you in November.